NEED A FUN SUMMER READ? 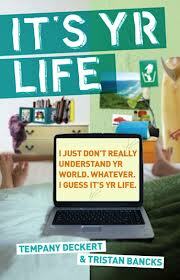 Grab Temp and Tristan's book ITS YR LIFE on Kindle now. It's a super fun, page turning summer read. Some say it's for teenagers, but who doesn't want to know about Freeganism, Hollywood dysfunctionalism and missing fingers?